Get Started Now It's completely free! Bill by the hour or by the item? Recurring invoices? No problem. 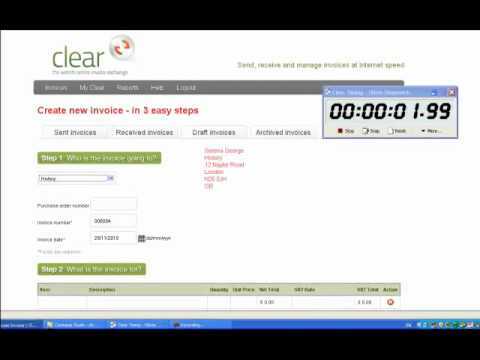 Create and send all kinds of invoices in seconds. Log time spent on projects as you go.Turn your timesheet into an invoice with a few mouse clicks. Resolve disputes fast. See who owes you what at a glance. Automatically chase late payers. Get paid 14 days faster. Send professional looking, branded invoices that give your company the pizzazz of a corporate enterprise.